A concept map is a node-link diagram in which each node represents a concept and each link identifies the relationship between the two concepts it connects. We investigated how using concept maps influences learning by synthesizing the results of 142 independent effect sizes (n = 11,814). 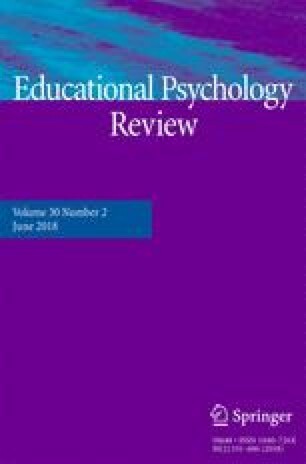 A random-effects model meta-analysis revealed that learning with concept and knowledge maps produced a moderate, statistically significant effect (g = 0.58, p < 0.001). A moderator analysis revealed that creating concept maps (g = 0.72, p < 0.001) was associated with greater benefit relative to respective comparison conditions than studying concept maps (g = 0.43, p < 0.001). Additional moderator analyses indicated learning with concept maps was superior to other instructional comparison conditions, and was effective across science, technology, engineering, and math (STEM) and non-STEM knowledge domains. Further moderator analyses, as well as implications for theory and practice, are provided. The online version of this article (doi: 10.1007/s10648-017-9403-9) contains supplementary material, which is available to authorized users. *Indicates Study Included in the Analysis. *Akpinar, E., & Ergin, O. (2008). Fostering primary school students’ understanding of cells and other related concepts with interactive computer animation instruction accompanied by teacher and student-prepared concept maps. Asia-Pacific Forum on Science Learning and Teaching, 9(1). Retrieved from http://www.ied.edu.hk/apfslt/v9_issue1/akpinar/index.htm. *Ling, Y., & Boo, H. K. Concept mapping and pupils’ learning in primary science. Asia-Pacific Forum on Science Learning and Teaching, 8(2). Retrieved from http://www.ied.edu.hk/apfslt/v8_issue2/lingy/index.htm. Novak, J. D. & Cañas, A. J. (2008). The theory underlying concept maps and how to construct and use them. Technical Report IHMC CmapTools 2006–01 Rev 01–2008, Florida Institute for Human and Machine Cognition. Retrieved on June 12, 2016 from http://cmap.ihmc.us/Publications/ResearchPapers/TheoryUnderlyingConceptMaps.pdf.